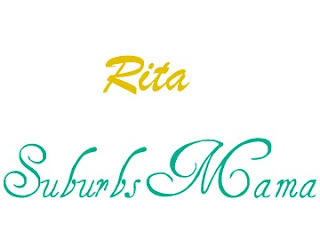 Suburbs Mama: June 2013 Birchbox + link up your box! 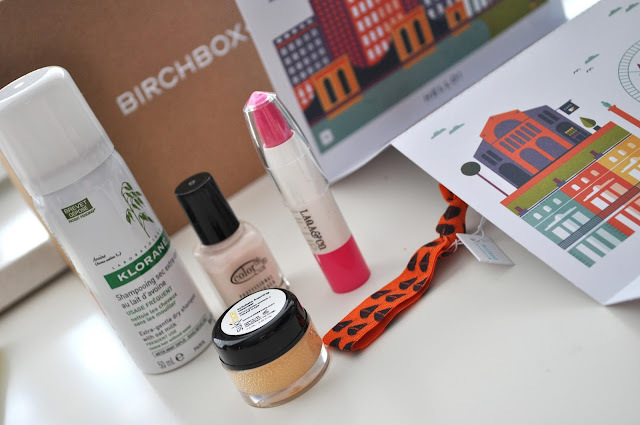 I was pleasantly surprised with my June Birch box, I actually loved everything! Let me tell you what birch box is, just in case you are not familiar with it. It's a monthly subscription service which is $10.00 a month where you get sent 5-6 high-end samples each month. First you take a little survey so they can find out more about your skin, make up likes and dislikes so they know what to send you. What I think: WOW! This stuff not only smells amazing, but it feels amazing. It actually foams up wonderfully, not something you get from a ordinary scrub. My facial scrub costs around the same amount, I may actually change it up next time. 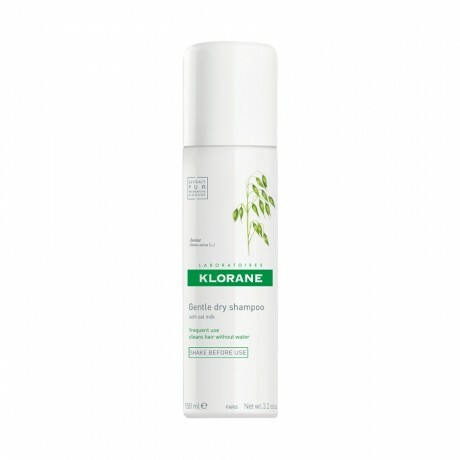 What I think: I use dry shampoo all the time, this stuff is great at soaking up oil, but I didn't notice any volume. Its kind expensive for a dry shampoo. Not sure if I would repurchase, I need to use it more to see. What Birchbox says about this product: The smooth shea-butter complex moisturizes and coats lips with saturated, glossy color. FUll size: $16.00 for two. What I think: I got a very pretty pink shade, which is perfect for the summer. It is super saturated, The swipe on the right (below) is just one swipe, I had to dip my finger for the lighter swipe on the left. I wouldn't wear it as saturated, I just put a few dots and blend it in with my finger. What Birchbox says about this product: Mod in Manhattan, a brilliant off-white that represents the glow of the mega-watt city at night. FUll size: $8.00 for 4 mini polishes. 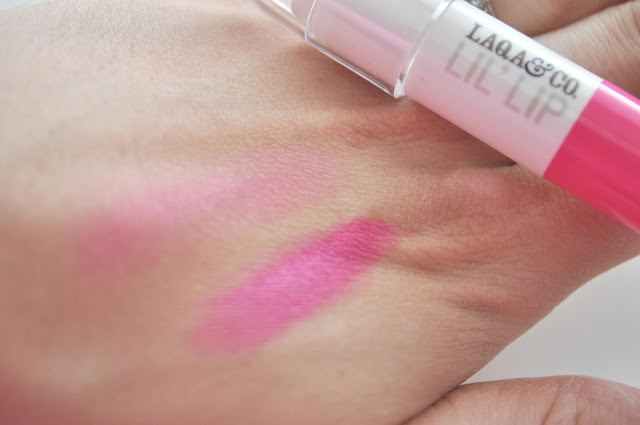 What I think: This is such a lovely color, I swatched it on my pinky, that was one coat! Amazing! What Birchbox says about this product: Each twistband™ is made of soft elastic that keeps braids, buns, and ponytails secured. Because they’re thicker than regular hair ties, they don’t leave crimps in hair. FUll size: $14.00 for 6. What I think: I love twist bands, And these are by far the cutest ones I have ever seen! I like to wear my hair down, but also pull it up when I get hot or it gets in the way. WHich means I usually wear a hair tie on my hand. These hair ties don't hurt my hand and look so pretty. Going into my cart right now. Thanks for visiting, Link up your box, I want to see what you got! Those Hair Ties are so cute! I wish I had received one! What I was really wanting was the lip scrub and the nail files! I did order a couple of sparkly hair ties from the Julep Warehouse sale yesterday. Thanks for Invited me to link-up. 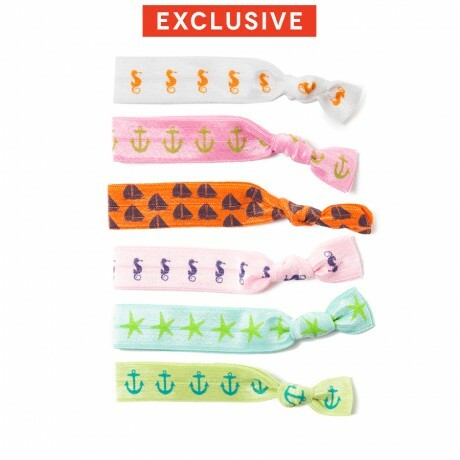 I'm definitely ordering the hair ties too - they are too cute! Thanks for hosting a link up - this is a great idea for Birchboxes because there's so much variety! I was hoping to get Mod in Manhattan instead I got London Calling. Mod is so much prettier. I hope to get the dry shampoo next time! Thanks for doing this link up! I loved reading everyones reviews! I received that dry shampoo a box or two ago. I've been enjoying it, but I don't think it's any better than my go-to favorite dry shampoo (Batiste) which is a fraction of the price! I've yet to try a dry shampoo that was more than $10/bottle that did anything special to merit the price. I swear by dry shampoo though! Even on days I wash my hair, I have super oily skin and bangs, so by the end of the day my fringe could always use a little refresh. I love that scrub!!!! And I hope I get that dry shampoo in a future box! Great stuff! I've been hearing so much about all of the "boxes" that you can have delivered monthly. I think I'm going to have to jump on the bandwagon. Thanks for telling me about this link up! I haven't tried my Suki Exfoliate Foaming Cleanser but now I want to after hearing what you have to say about it. I wish the formula on my nail polish was just as nice, mine was too thick and patchy.